In December, more than 3,000 customers cruised to Belize, Cozumel and Grand Cayman island aboard the Navigator of the Seas. It's anchors aweigh for three Kia dealerships in Florida that build repeat business by giving sales-event customers a free cruise aboard a luxury liner. Billy Fuccillo doesn't do anything small, including sales promotions. The owner of Fuccillo Automotive Group has raised his own marketing bar with a behemoth of a promotional event: a free, six-day cruise for every customer who buys or leases a Kia from one of his Florida Kia stores during an annual late-winter sales event. "It's a tremendous customer-loyalty builder," says Fuccillo, a former tight end at Syracuse University who projects a larger-than-life persona that dwarfs even his commanding 6-foot-4-inch, 270-pound presence. "Customers come back every two or three years to buy a new Kia because they want to go on the trip." To illustrate the effectiveness of the annual Cruise with Huge promotion, Fuccillo recalls a customer who came in last year to trade in a 2016 Optima with only 800 miles for a 2017 Optima. "He told my used-car sales manager that he and his wife had dinner with me on the cruise," he told Automotive News. "He said they had such a good time that they wanted to go on another cruise and party with me again. Now that's not the case for everyone who takes the cruise, but it definitely keeps bringing back a lot of customers." "The whole ship gets transformed into our exclusive boat. And when you check into your room, you get a tote bag filled with [Fuccillo] T-shirts, hats and other items. ... this is no Mickey Mouse deal." The most recent cruise was Fuccillo Automotive's sixth. In December, some 3,200 customers boarded the Navigator of the Seas for a trip to Belize, Cozumel and Grand Cayman island. "We reserved the whole boat," Fuccillo says. The price tag? 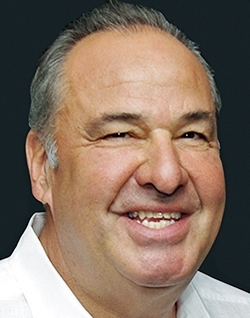 A cool $1.5 million, says Fuccillo, who's well known for his oft-heard (and sometimes parodied) TV commercials in Florida markets, featuring his trademark slogan, "It's H-U-U-U-G-E-J-A!" Fuccillo Group owns 30 dealerships in upstate New York and Florida. The New York stores sell Chrysler, Dodge, Jeep, Ram, Ford, Chevrolet, Buick, Mitsubishi, Hyundai, Kia, Genesis, Subaru, Mazda, Lincoln, Volkswagen, Nissan and Toyota brands. In Florida, the group has two Nissan and three Kia dealerships, with a fourth Kia dealership on the way. The Florida Kia dealerships alone sold 13,413 new Kias and 3,234 used vehicles in 2017. Fuccillo is no stranger to over-the-top, high-visibility promotions. In 1996, Robbie Knievel — the son of the late, world-famous daredevil Evel Knievel — jumped a motorcycle over 19 cars at a Fuccillo dealership in Adams, N.Y., northeast of Rochester. The nationally televised promotion spurred the sale of more than 500 cars, Fucccillo says. "I'm everywhere — radio, direct mail, TV," he says, noting that the Florida Kia dealerships spend about $2.5 million a year on marketing. "I'm really heavy on electronic advertising, as in drive-you-nuts heavy. We're really in customers' faces. Our advertising is not your standard car advertising — it's on edge. But whether you like it or you don't like it, you're always going to remember it." Fuccillo started the Cruise with Huge promotion in 2012. The cruises usually are held in early December. To qualify, customers must purchase a car during the annual sales event in January, February and March, timed to coincide with the influx of retirees who winter in southwestern Florida. 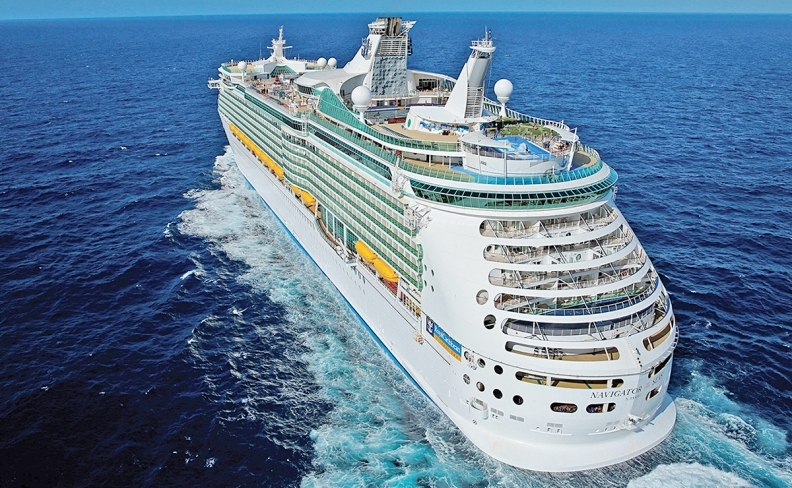 The promotion started out with small cruise ships and gradually moved up to the giant Navigator of the Seas, a Royal Caribbean International vessel that's one of the largest cruise ships in the world, capable of carrying 3,286 passengers. On board, first-timers who might expect what Fuccillo calls a "dinky-donky boat" are in for a surprise. "They don't always understand that this is the real deal," he says. Along with providing top-level entertainment, Fuccillo Kia branding is in full force everywhere, from banners hung high to lettering on the bottom of a pool. The Fuccillo name is emblazoned on glassware, slot machines and the felt coverings on the blackjack tables. "The whole ship gets transformed into our exclusive boat," he says. "And when you check into your room, you get a tote bag filled with [Fuccillo] T-shirts, hats and other items. We don't fool around ... this is no Mickey Mouse deal." Why is the promotion so popular? For starters, Fuccillo points to customer demographics. Southwestern Florida is either a permanent or temporary home for a large contingent of retirees who have the time to take cruises. Then there's the sheer value of the trip. "They're effectively getting a $4,000 value just by purchasing a new vehicle," he says. Fuccillo finds the cruises rewarding beyond increased car sales. It dovetails with his belief that selling cars must include a personal touch that extends beyond websites and social media. "The Internet is cold," he says. "It seems like it's nothing more than a race to the bottom — who has the lowest price. I'm not sold on that kind of marketing. "Nobody wants to talk to anyone anymore," he continues. "But it's wonderful to mingle with people who buy cars from you. You can't have cocktails and dinner with customers on the Internet. But you can do it on a cruise." In Fuccillo's eyes, that's, well, huge.